Dentures can help fill in gaps created by missing teeth. Aside from the physical benefits, dentures can boost your confidence and improve your smile. They also help maintain the shape of your mouth and face as well as your existing bite. Dentures are custom made to fit your mouth and are aligned with your existing teeth because even slight damage can render them unusable. Even a slight bend can make it impossible to wear your dentures correctly. If your dentures become damaged, they may not benefit you fully. Dentures are a removable appliance and can become damaged in a variety of ways. Children, pets and the unpredictability of life can all contribute to the destruction or damage of your dentures while they are not in use. They can be bent, stepped on or even chewed on by a pet. Dentures may become unusable if they are not properly cared for. Similar to your teeth, dentures need to be brushed and washed regularly and as directed. Daily wear and tear, as well as neglect, can also cause your appliance to fail. Your gums, as well as your dental apparatus, can both change over time. Your gums may change or recede creating a situation where your dentures no longer fit correctly. Your dentures may get thinner or become ill fitting after years of use. Either way, dentures that fail to fit can cause a host of problems including an irregular bite, trapped food and more. Instead of being fit for a new set of dentures, your dental team may be able to reline your dentures. Dentures are made of materials that can be removed and replaced such as resin, acrylic and hard plastic polymer. The relining is done by adding a new lining to your dentures to improve their fit. If the adjustment is simple, this may only a single appointment at the dentist’s office. If the lining requires a significant alteration, your dentures may need to be sent to a lab for the process. If you damage your dentures, resist the urge to repair them at home. Many horror stories have resulted from using super glue and other adhesives while attempting a denture repair at home. If you try to repair your dentures yourself, you may do more harm than good. Many adhesives contain chemicals you do not want to put in your mouth. If you cover your dental appliance in a material that cannot be removed, you may eliminate your dental professional’s ability to repair your dentures, which may force you to purchase costly new dentures. A do it yourself approach also further your risk of damaging your appliance. Even if you damage your dentures when your dental office is closed, wait for a professional. Having patience may save you a substantial amount of money and further headaches and hassles down the road. Call your dentist’s office immediately. Even if the office is closed, leave a message so they are aware of the problem as soon as possible. Avoid do it yourself kits and adhesives. While they may be tempting, you could do more harm than good. Be patient. 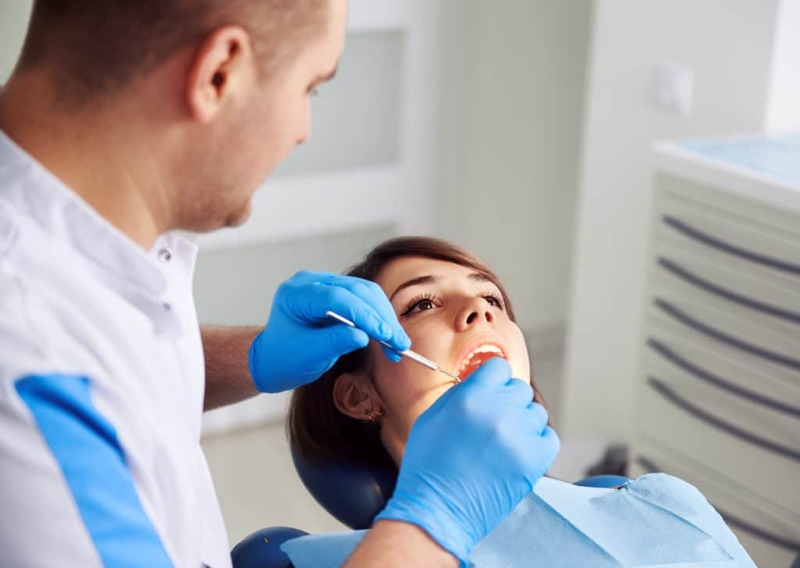 Depending on the damage, your dentist may be able to perform repairs in a single visit. If the damage is more extensive, the dentures may need to sent to a dental laboratory. You and your dental professional can discuss whether or not there is a need for a temporary appliance while you wait. Dentures may be an important part of your smile. Our team at EVDP understands that when damage occurs you need your dentures repaired correctly and as quickly as possible. If you are suffering from denture damage, contact our office.